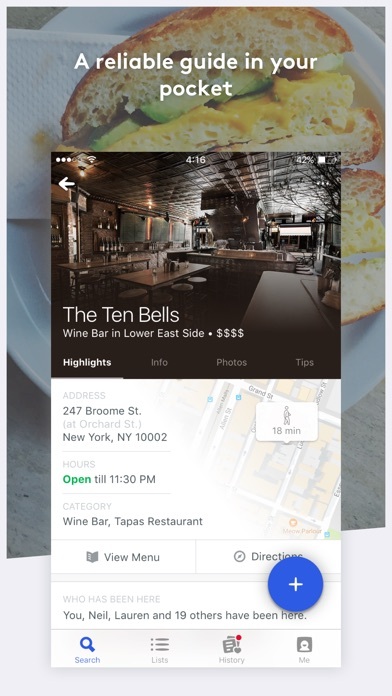 Food & Drink FREE No App Store 2019-03-06 Foursquare Labs, Inc.
Food & Drink FREE No Foursquare Labs, Inc.
Find the best restaurants, bars and more. 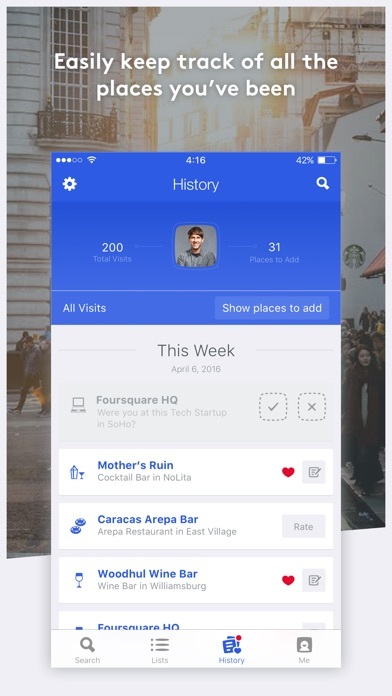 Foursquare City Guide will lead you to the perfect spot -- anywhere in the world. Get helpful, positive tips from our trusted global community and keep track of where you've been and where you want to go, all in one place. Looking to check in or become Mayor of your local coffee shop? 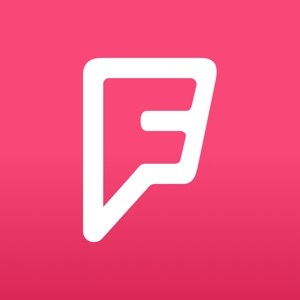 Download our sister app, Foursquare Swarm. 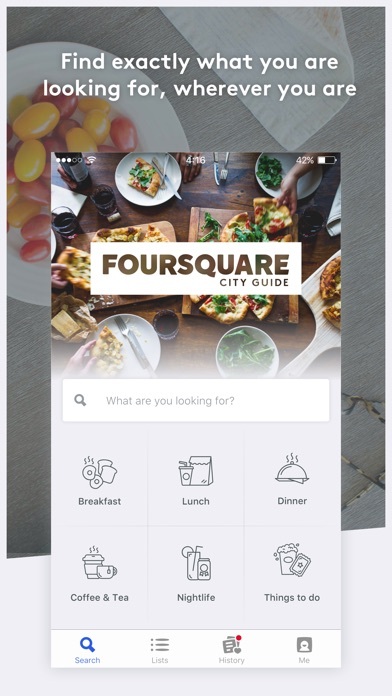 With Foursquare City Guide you can: -Join a community of people just like you who love to explore and seek out hidden gems. -Read short tips written by real people all over the world. (No negative rants or businesses paying for positive reviews.) -Make lists for any occasion! Keep a running to-do of neighborhood hot spots, or places you want to try while traveling. 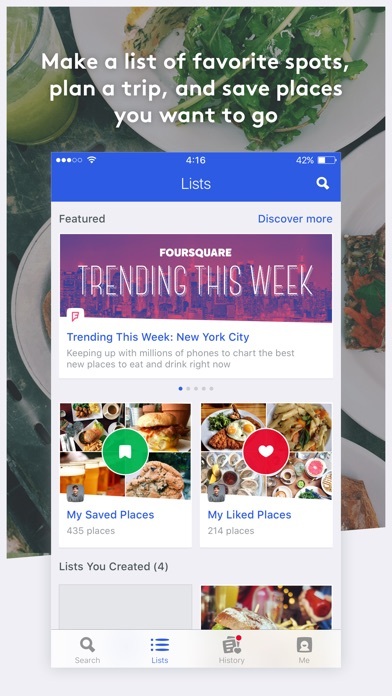 -Add tastes, rate places, and lifelog where you’ve been to get hyper-personalized recommendations. 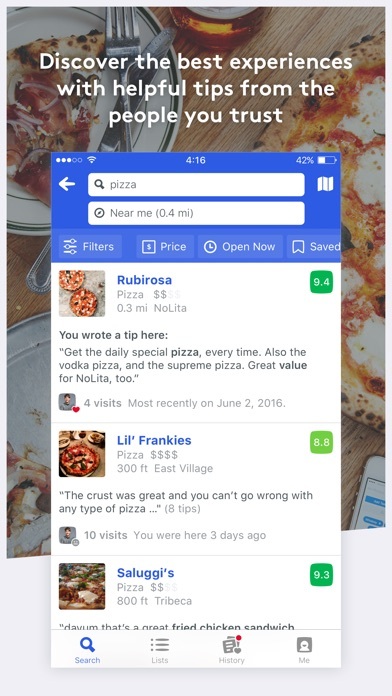 -Follow friends, brands, and influencers and uncover the best experience possible with millions of tips about off-the-menu items, speakeasy entrances, wifi passwords, and much more. -Keep a history of the places you’ve been. Never forget a memory, photo, or the name of that incredible pizza place you went to while visiting Rome. -Find exactly what you’re looking for. Faster. A note on battery – We've spent years developing the location technology that powers Foursquare City Guide, making it extremely power efficient. But, as with all apps of this type, please note that continued use of GPS running in the background can dramatically decrease battery life.